Apparently I am not the right person to ask about hiring the perfect roofer (or any contractor) because I had a really bad experience. But hopefully you can learn from my bad experience so you can have a better one. 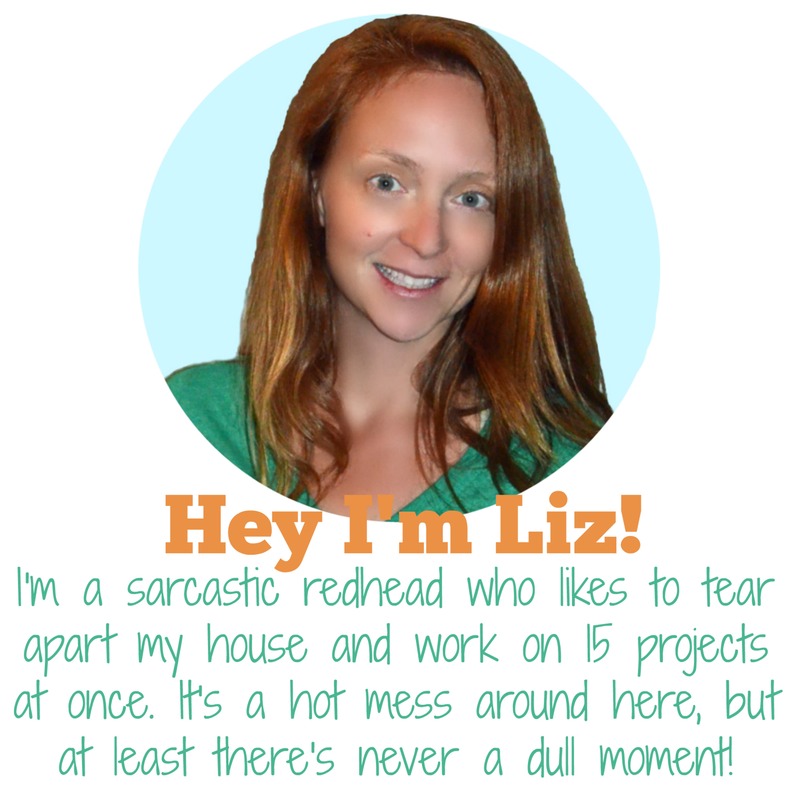 But truth be told, you are always taking a gamble when you let someone work on your house. And there’s not really anything you can do if you’re not happy. Except tell people. But even that can lead to more problems. As I found out today. But before I tell you my whole story, let me give you a couple of tips. 1) Get recommendations from friends – I know you’ve heard this a million times. But it IS a good idea. It is not foolproof though. I got an estimate from a roofer a friend used. I was even planning to hire him, but decided to go for someone “better.” If I could go back in time I would have hired the same guy my friend used. A couple of things turned me off to him at the time. The friend who used him told me she didn’t get any other estimates, so that made me wonder. And he was planning to reuse my existing attic fan, which did not exude quality to me. 2) Get at LEAST 3 estimates – Make sure you’re comparing apples to apples. I made sure I told every roofer that came to give me an estimate the same story. I needed one gutter fixed, one gutter replaced, and the ridge vents had been installed incorrectly and needed to be fixed. I knew I wanted a tear off, not a roof-over, and I wanted the two skylights on my back porch removed and the holes boarded up. I gave each guy the same list so it was always included in the estimate. There were differences in the estimates because some wanted to put in a ridge vent (which I believe is the best current practice) both on the main roof and the garage, others just the garage or just the main roof, some wanted to reuse the existing attic fan. There are apparently differences in the type of ridge vent used as well. The rigid kind is “better” and more costly than the rolled out ridge vent. Be sure to ask which they use if it matters to you. Now some people will tell you to eliminate the too low or too high estimates, but honestly I don’t think there’s any science to it. A crappy roofer can give you the highest price and a great roofer could be looking to get into your neighborhood, and therefore be willing to cut you a break. My gut was totally wrong on this one. The roofer I hired, Cambridge Exteriors was $10,400, and that was after a $500 coupon. You guys know that those type of coupons are completely bogus right? When the fine print says you have to submit it at the time of the estimate, that just means they tack on an extra $500 so they can later take it off. Ok, good. Glad you already knew that. 3) Do a Google search – I wish I had spent 5 minutes googling the company I used. There are poor reviews out there that would have stopped me from hiring the company I hired. But remember there are LOTS of bogus reviews online, so use your judgement. We decided to go with Cambridge Exteriors for our roof replacement. The sales part was good, John was thorough and patient, explained the process without being too pushy. We chose them based on their description of services, availability of materials and a gut feeling they were the best for us for this job. What was supposed to be a two-day job immediately became an 11-day job, after half of their crew didn’t show up, and they forgot to order the correct gutters/downspouts and gutter covers. They failed to show up on the day they were to install the gutters, and didn’t bother to call us at all. They also failed to flash and seal the skylights properly, which resulted in leaks inside the house after the first storm passed through. More than two weeks after finishing, they still have not returned to clean up all of the debris and sweep for nails. They also damaged our exterior lights, which they promised to fix – however the project manager is not returning our calls. Overall, we are very disappointed. We selected Cambridge precisely they gave us the impression they took care of their customers and did quality work. [member name removed], Thank you for the positive comment on your experience with John , Unfortunately it seems you were not happy and had some miscommunication with the installation process. 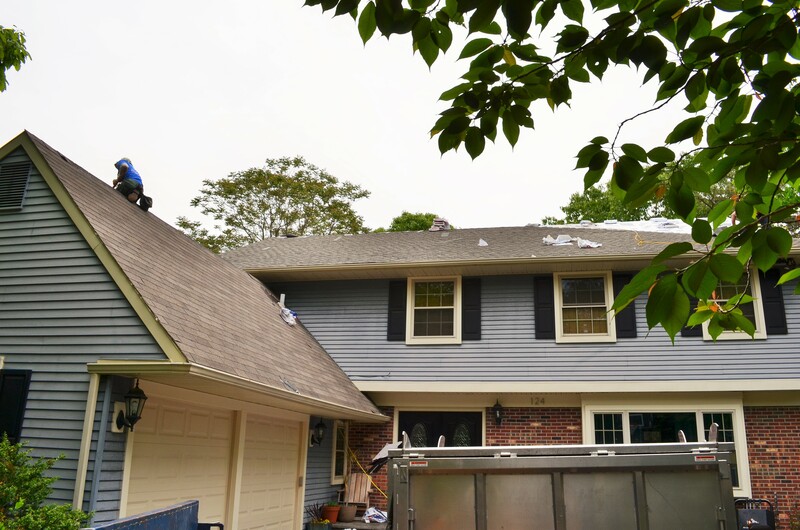 Not only did you hire Cambridge for Roofing you also hired us for capping of all your fascia and rake boards and all new 6″ seamless gutters with 3×4 downspouts in special blue color . All of this work could not be done in 2 days and I apologize if you were informed that. Your roof was large and did take us a few days . We did re flash your skylight properly and did respond to your house to reseal the glass on your skylight after storm. I also know that we came and installed the capping professionaly and quickly . I do apologize about the delay on the gutters and downspouts . It was not that we ordered anything wrong it was delayed and we do apologize for that . As far as no one returning your calls we did speak with Traci this Thursday and she seemed fine ,We also left voice mails and messages every time there was a delay . We also dropped of new trim rings and new bulbs as promised . We do truly apologize for any inconvenience and would like to come out the the house and do a walk around together to make sure you are completely satisfied . We will contact you immidietly to do so. 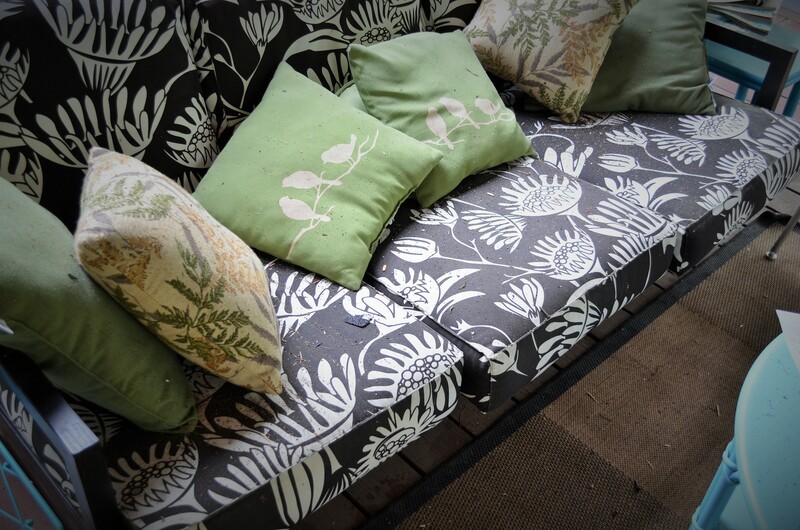 We would also like to walk the property to make sure you are completely satisfied with clean up . Cambridge Exteriors strives on customer satisfaction and we do apologize for your experience and would like to make and arrangements needed to make things right for you. The complete list of reviews can be found HERE, but only if you have Angie’s List in the South Jersey area. 5) Ignore things like GAF Master Elite Certified – It’s a crock of you know what. Another roofer told me (after the fact) that is simply something you PAY to belong to. And I totally believe him. Take for instance the GAF website. Master Elite contractors get a little page on the site, filled with glowing reviews. Well guess what? There is no button anywhere that lets you (me) leave a review. I didn’t even notice when I looked Cambridge Exteriors up, but when I went back to leave a negative review I realized I couldn’t. I should have known something was up because all the reviews are so short and positive, totally nondescript. Check out their page HERE. 7) Take your time picking a color – I went with the color the owner recommended. He showed me a tiny swatch in a picture and had me agree to it at the time of the estimate. I should have driven around my neighborhood and looked at similar house colors and found a roof color I loved. I hate my roof. A friend came over 2 days after the new roof was installed, and because he saw the roofing trucks out front, asked if I was getting a new roof. Yup, 2-days ago, I told him. This picture shows the new roof on the main part of the house and the old roof on the garage. They look pretty much the same, huh? 8) Treat your estimate as a contract – Once you decide to go with a particular company that estimate become your contract, so make sure it says everything you need it to say. If there is “extra” work to be done, make sure it’s spelled out. It would be wise to put in a time frame on the contract to. A 2-day job should mean a 2-consecutive-day job. My 2-day job started 17 days ago, the job still is not finished and I haven’t heard anything from the company in 2 weeks. Most reputable contractors I’ve dealt with in the past have never required me to pay any money before the service has begun. Cambridge Exteriors wanted a $1,000 deposit, which I paid with a check. Make sure any amount paid is documented. Never use cash! But know that even if you sign a contract and pay a deposit you still have 72 hours to change your mind. Yup! Just be sure to put your change of heart in writing. I wish I hadn’t been so lazy. When a $7,500 estimate came in after I had signed with Cambridge I should have rescinded my contract with them and gone with the other guys. Hindsight stinks. 9) Don’t pay any more money until you are satisfied – I was appalled by the sloppy, unprofessional work done on my roof. I complained and was told things would be “fixed.” Well they did come back, but the fixes still looked terrible and some of their sub-par work, like butchering the wood on my pergola, could not be fixed, it would have to be replaced, which would mean taking the whole pergola down. For me, I will never be satisfied and I will never think I got my monies worth. I spent hours cleaning up the mess the crew left, which was supposed to be included in the $10K price tag. I also spent most of my morning arguing with the unprofessional owner to fix little things that I never should have had to worry about. He haggled about the money the whole time he was here. I did end up paying him all but $1000, but I paid it with my credit card. 10) Don’t be fooled by things like an extended warranty – The guy that did my roof thinks it will make me happy if he gives me an extended warranty. Really? I don’t trust a word you say and your workmanship an professionalism is terrible. Why would I want to continue down a path with you? And unless that warranty covers any damage to the interior of my home caused by the roof, then it’s not really worth anything anyway. It’s like getting a bad hair cut and going back to the same stylist to “fix” it. Um, no thanks. This post is already super long, so I’m going to save my personal story for tomorrow. But stay tuned because I’ve got lots more pictures. And a lovely letter from the roofer’s lawyer. Yup. Thanks for the great info! My husband has been working on our roof for 2 years and won’t hire anyone because he thinks only he can deal with the details and quality. Good info about Angies List! Its so hard finding a good contractor fit. I purposely didn’t go with the lowest offers because I wanted quality. Obviously that is a bogus measure and you can never be positive about what you’re going to get until the work is complete. I wish there were another way!!! This has happened far too many times with independent contractors. You basically summarized why I hate working with contractors! I can never tell who is being honest, and tend to believe they are all trying to scam me. They obviously aren’t, but it is hard to trust when there are real stories like yours out there! Thanks for sharing! 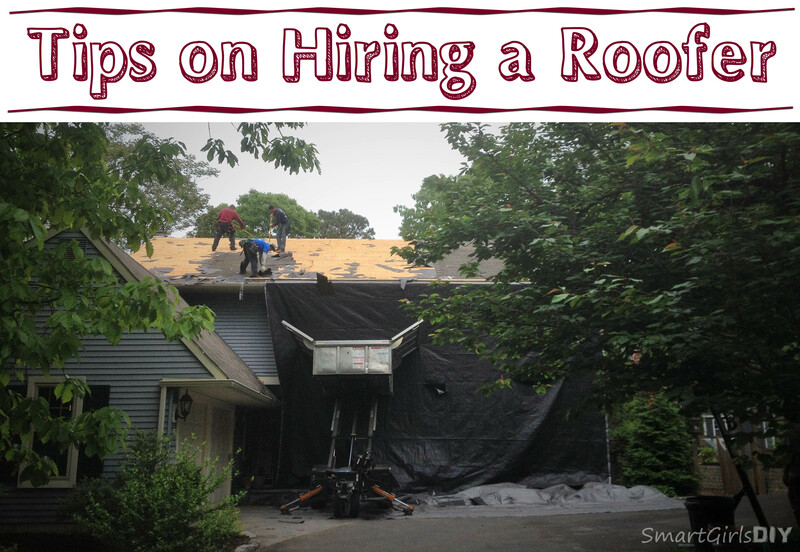 This is a great guide for anyone looking to hire a roofer as it can be hard to find information. Thanks for sharing! Checking for the references must be the topmost on your mind and not just online reviews, if they can give reference of couple of your friends and they are happy with that roofer then you can go with them. You are right about fake online reviews, so physically meeting the existing employees is the best way to gauge the quality of service of a contractor even today. Thanks for sharing the lessons you learned.